Looking to update your window treatments? Increase Your Home's Privacy: A variety of window treatment options prevent others from looking inside your house. Today’s styles can even allow sunlight in, while still maintaining privacy. Save Money on Your Energy Bills: The Department of Energy (DOE) notes awnings, blinds and other window treatments can help you reduce heat loss in winter and heat gain in summer, allowing you to cut your annual energy expenses. Show Off Your Personality: Want to reinvent your home's décor? Window treatments are available in a variety of colors and designs, ensuring that you can bolster your home's décor and show off your personal style. Unlike traditional wood blinds, faux wood varieties consist of a synthetic material that is easy to clean. That way, you won't have to worry about allocating significant time and resources to keep faux wood blinds looking great. While silk panels may prove to be more expensive than many other window treatments, they can bring a touch of luxury and sophistication to a setting's décor instantly. Options abound with silk panels that consist of embroidered silks, plaid silks and jacquard paisley designs represent timeless choices for homeowners who want to create an elegant living space. When combined with shades or blinds, panels can provide style as well as privacy. Environmentally-Friendly Window Treatments: Did you know that some window treatments can help you fight off allergies? Environmentally-friendly window treatments that consist of mildew-, mold- and stain-resistant fabrics are gaining popularity among allergy sufferers nationwide. 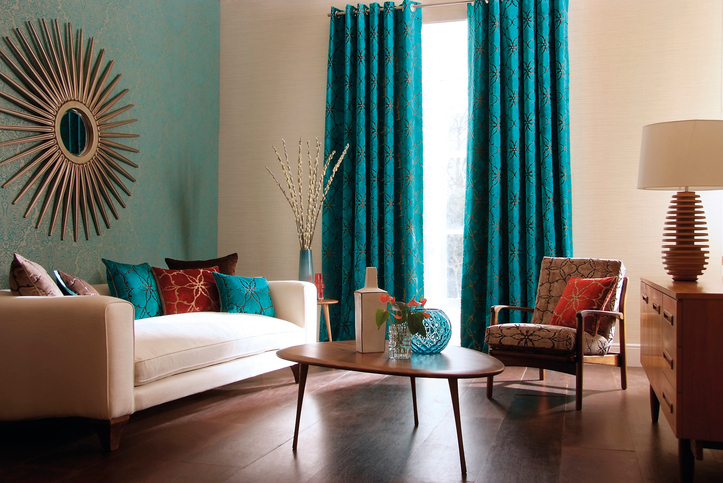 Allergy sufferers can reap the benefits of "green" window treatments without having to sacrifice their personal style. Katie Laird is the Director of Social Marketing for Blinds.com and a frequent public speaker on Social Media Marketing, Social Customer Care and profitable company culture. An active blogger and early social technology adopter, you can find her online as ‘happykatie’ sharing home décor, yoga, parenting and vegetarian cooking tips. To learn more about the variety of faux wood blinds and other window treatments like those highlighted in this article, visit the Blinds.com website.